The 1-4-7, the 2-5-8 and the 3-6-9 numbers. The Bible,Numbers 7:12-89 and the Solfege Scale. the Book of Numbers, chapter 7,in verses 12 through 83.
that he believed had correspondence with the six missing tones of the ancient Solfeggio scale. 396, 417, 528, 639,741 and 852. Looking through this chapter, we first notice that it renders 12 separate lists, each one appearing to be generally similar to the others. Each list begins with “on the first day, on the second day” etc… then provides a list of what had been sacrificed. Then if we convert each of those verse numbers to single digits. and reduce those values to single digits. These concealed number sequences Puleo discovered happen to mesh very precisely with the numerics rendered by our device formed by the 24 Fibonacci numbers. Could it be we are getting a first glimpse of something which might be construed as a possible ‘theory of everything’? Discovering the identical numeric sequence within the PRIME NUMBERS certainly encouraged us regarding the possibility of this belief. The prime numbers also just happen to display this same natural three part division. whereas the 3-6-9 patterning remains the constant vector. (This is visibly mirroring a prominent feature incorporated within Raphael’s painting of ‘The School Of Athens’-the border motif on the ceiling arch is 24 fold, echoing our 24 reduced Fibonacci numbers,is divided into two blocks of 12,each is represented by one of 24 ‘greek keys’ (Meandros) following the exact same modelling as the red and black 124875 sequences we have noted in the image above. 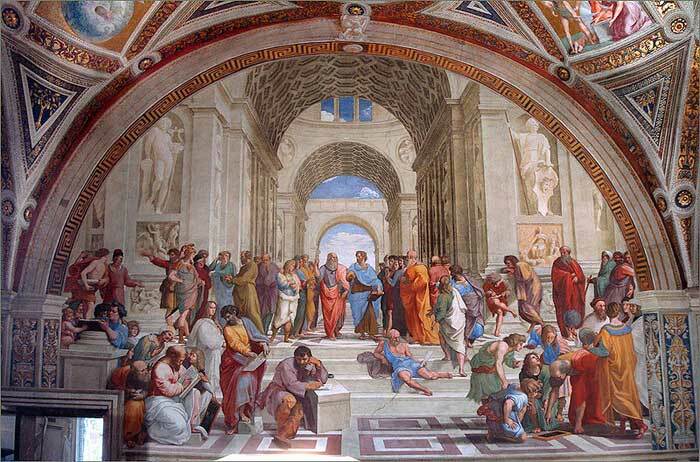 Raphael Sanzio;’The School Of Athens’ C.1509/1511. Clearly, these understandings are far from new, apparently they have been well known in certain circles for a good length of time. The form of the Greek Key, otherwise known as the Meandros is noted here to be implicit within our 1,2,4,8,7,5 sequencing of the three orders of prime numbers. This prime number patterning displays the self-same doubling circuit numbers that Marko Rodin happened upon and we note both in our 24 repeating Fib patterning and within Pascal’s triangle. Here we see a dual patterning where the 1-2-4-8-7-5 sequence runs in chirality with itself. One sequence beginning on the bottom line and moving upwards to the next,working to the right,and the other following it starting from the top,moving downwards and to the right in mirror-fashion to the first.Two doubling circuits. 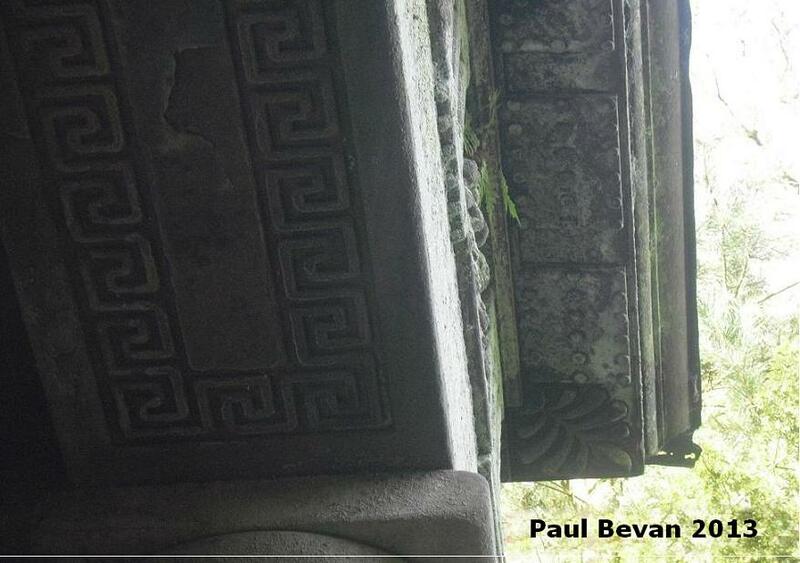 The Meandros and the three sixes motif. Three Sixes in the reduced prime sequence. 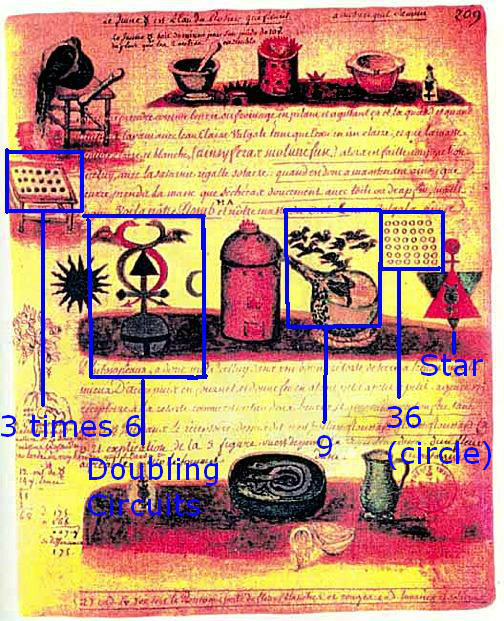 We also note this same 3 times 6 number patterning within the work of the Alchemist Nicolas Flamel.Other numeric cues pertainable to the 24 reduced Fibonnaci numbers are also visible within writings and drawings ascribed to Flamel.